New from Ardent: Cannabis Infusions Kits! Ardent Cannabis’ new gourmet cannabis infusion kits come with everything you need to infuse marijuana extracts directly in the Ardent Lift Decarboxylator, right down to tiny straining funnels and screens. 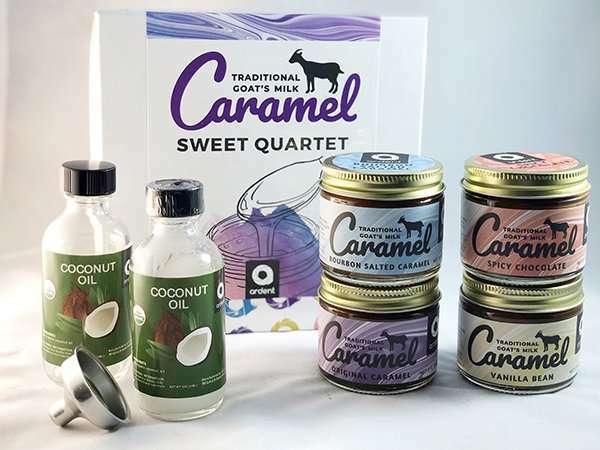 There are several kits to choose from including gourmet olive oil/truffle oil, coconut oil, a quartet of yummy caramel sauces, and a medicated caramel apple kit. The latter two caramel kits are both infused with coconut oil mixed into artisan goat’s milk caramel sauces included with the kits. Ardent Infusion Kits Make Great Gifts for Lift Owners! If you know someone who owns an Ardent Lift, these infusion kits make terrific gifts. But even if you are the Lift owner yourself, the kits put everything you need to make small batch infusions in the Lift in one convenient place along with some quality gourmet ingredients. And since you can reuse funnels and screens, and the silicone inner sleeve that comes with the olive oil kit, or the small bottles that come with the coconut oil and the caramel kits, they’re not a bad deal. The purple silicone inner sleeve, pictured below, is included with the olive oil/truffle oil kit. It is also available separately from the kits. Regardless of how you get it, if you are an Ardent Lift owner, the silicone sleeve is an invaluable infusion accessory that I predict you’ll put to use over and over again. Slip the sleeve into the Lift, put in your cannabis and butter, oil, honey, etc. and infuse! Caramel Cannabis Infusion Kit Tip! If you happen to buy (or are ever gifted) the caramel and/or caramel apple kits, be sure to save the empty caramel jars! The small jars fit inside the Lift, so you can use them again and again, long after the caramel is gone, to make small batch infusions in your Ardent Lift. Of course, the Lift is known as a decarboxylation device that converts 100% of the THC-A in cannabis into psychoactive THC. 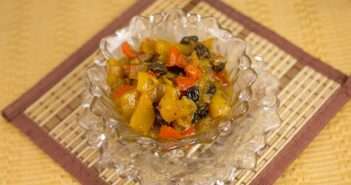 (If you don’t know what decarboxylation is and why you need it, click the link, then come back.) But using the Lift to actually make small batches of cannabis oil, or butter (or whatever else you want to infuse), doubles its functionality! Read my full tutorial on making cannabis infusions in the Ardent Lift Decarboxylator here. Besides increased edibles’ potency, there is another advantage to knowing you have perfectly activated 100% of your THC, and that’s dosing. For those who have taken my free online Edibles Dosing Class and use my edibles dosage calculator tool, proper marijuana decarboxylation is important in order to get accurate dosing estimates. If you fail to convert a majority of the THC-A to THC, your dosing estimates will be high and you may be disappointed in the potency of the finished edible. The Ardent Decarboxylator eliminates those discrepancies. For more information about the Ardent Decarboxylator the Gourmet Infusion Kits or to order, see this page. SPECIAL GET $30 OFF THE ARDENT DECARBOXYLATOR!!!! A reader asked me if I had a coupon code for the Ardent Decarboxylator. I didn’t at the time, but I wrote to the folks at Ardent and asked and they said sure! 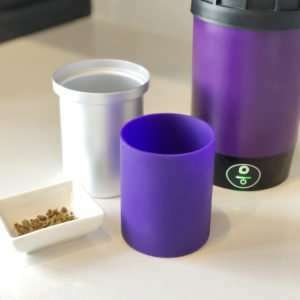 So enter the code CANNACHERI at checkout and receive $30.00 off the price of this great gadget.